After price volatility in March 2019, the cement sector may see an improvement in prices after Lok Sabha elections in June when construction activity by the government, as well as, individuals start picking up and a shortage of labour eases. After prices remained muted from April 2018 to January 2019, the sector witnessed a rebound in prices for a few weeks in February-March when average prices rose by around Rs 25 a bag only to fall after Holi. Industry officials said that in mid-March, while prices fell marginally in the northern region to around Rs 300-315 a bag, in south India, prices declined by nearly Rs 15 to around Rs. 315-320 per bag with the steepest decline in Hyderabad, Bangalore and parts of Kerala. “Despite the volatility, cement prices have increased marginally by 1-2 per cent on the average for the past few years which is far below the inflation level”, H M Bangur, managing director at Shree Cement said. Construction activity also took a beating in March due to lack of labour. “Most of the labourers in the cement and construction sector are migratory workers and go back to their villages in pre-election time. Thus, both infrastructure projects, as well as, individual house building gets affected”, Vivek Chawla, CEO at Emami Cement said. Besides, owing to the Election Commission’s model code of conduct, new tenders are also not being floated. Both Bangur and Chawla opined that after the elections, the labour shortage situation will improve and there will be a renewed focus on construction activities, both on the infrastructural, as well as, house building front. 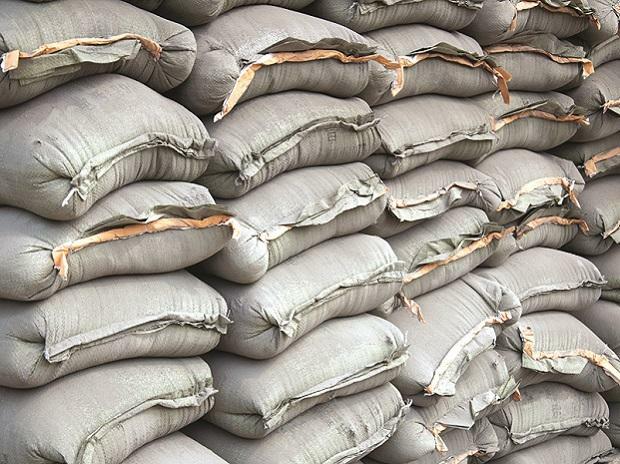 Other cement company officials added that owing to over-capacity, particularly in the northern and central regions, prices have been corrected according to market forces. “In south India, the price rise was the steepest owing to numerous infrastructure construction activities but has now corrected”, an industry official said. According to estimates by ICRA, till January 2019, because of better capacity utilisation and demand from rural and affordable housing, the sector saw healthy volume growth of 13.6 per cent with total production standing at 275.7 million tonnes (mt), beating ICRA’s estimate of a projected seven per cent growth. However, according to the credit rating agency, it is unlikely to translate into any meaningful profit growth or improved margin for the 2018-19 fiscal year given the sector’s inability to secure any significant price increases and being subjected to cost pressures for much of the year. “Whatever cost pressures we have been absorbing, is being offset by volume growth and higher economies of scale. That is how many companies are able to maintain margins”, Bangur said. Sabyasachi Majumdar, senior vice president & group head of corporate sector ratings at ICRA is of the view that in the coming fiscal year, production volume, in response to increased demand from rural and affordable housing and infrastructure segments led by road, metro and irrigation projects will lead to a growth of 8 per cent. “On the capacity side, we expect around 17-18 mt to get added in 2019-20. With the incremental demand of around 24-28 mt being greater than the incremental supply, this is likely to translate to improved capacity utilization although past capacity overhang is likely to keep the utilisation at moderate levels – at 69 per cent in FY 2019 and 71 per cent in FY 2020”, he said.